If you’ve been with me even a short time already, you know I have my share of idiosyncrasies. I hope you do, too. I’d hate to be all by myself that way. I describe the idiosyncrasy I’m talking about today as “weighty” because it has to do with my weight. See? That’s not very complicated, is it? I’ve been in a battle with my weight practically my whole life. Don’t ask me why I remember this so vividly, but when I was in the sixth grade I weighed 148 and was a lot shorter than my adult 5’6″ height. The folks at church thought I was cute being so fat. I didn’t. But–doggone it!–weight loss never seems to be permanent. I’ll bet I’ve gained and lost a thousand pounds over the years, although it’s felt more like I only gained a thousand and kept it. When I started teaching school, I was always eating something I shouldn’t have had, and I managed to gain a good twenty pounds or so. A “good twenty pounds”? I don’t think so! My clothes didn’t fit and I felt miserable. But I cut back on my eating and starting bicycling a lot. I bought some great looking clothes that wouldn’t fit until I reached my goal. I went from at least 177 down to 148 or less, and I was proud of myself. That was my first weight loss effort as an adult. But, alas! it snuck back on over the years. It’s hard to pick a weight at which I would automatically decide I had to lose weight again. But it happened. Over and over again. About three years ago I was diagnosed as being diabetic, type 2. The doctor told me to watch the scales, not the carbs. Huh? Hmm. I’d made it up to 208. Not good. So I took Dr. Ashe’s statement seriously. I worked slowly and carefully. It took a year-and-a-half to lose fifty pounds, and I was determined that–for once–I was going to control my weight and never have to diet again. But I’d been equally determined far too many other times, although not motivated by health needs, and I’d always backslidden. Okay, you say. You understand. Maybe you’ve had an ongoing battle with your weight, too. Or ought to be concerned but you haven’t been motivated to do anything yet. Or maybe you’re close to someone who has a weight problem. Who isn’t? I keep a datebook in the bathroom and record my weight on a regular basis. I accept the fact that there will be minor fluctuations from day to day, but I make myself aware of those and fret whenever the figure goes up more than seems reasonable. But that probably still doesn’t qualify as an idiosyncrasy. How about the fact that I consider the first day of the month a crucial time–and even more so the first day of the year? I keep an Excel spreadsheet of my weight; it goes back a number of years, although for a while I only kept track of the January 1 readings. I’m already fretting about the likelihood that I’ll probably weigh three pounds more on January 1, 2015, than I did the first of this year. Fretting. I mean big-time fretting. Here I did so well so long, and I feel like I’m losing the battle. Starting to, anyhow. I can eat the way I need to forever if I can avoid temptation. But add a week’s vacation away from home to dinner out with friends at a Cheesecake Factory and another dinner out with friends at a Captain George’s Seafood Restaurant (at least I didn’t have the buffet, which would’ve required me to fully pig out to try to eat my money’s worth) and I’m in trouble. Yes, I know. Three pounds isn’t that much. But every successful diet has always concluded with failures like those. And they’ve always led to more. I HAVE to keep it off this time, though. I refuse to buy bigger clothes again. What do you say? Is weight your problem, or is something else equally frustrating to you? Please leave a comment. “On Aging Gracelessly” is only one of my two blogs. I use “As I Come Singing” to post lyrics of the Christian songs I’ve written over the last fifty years. Check it out HERE if you’re interested. . Free lead sheets (tune, words, and chords) are available for many of them. View the list HERE. 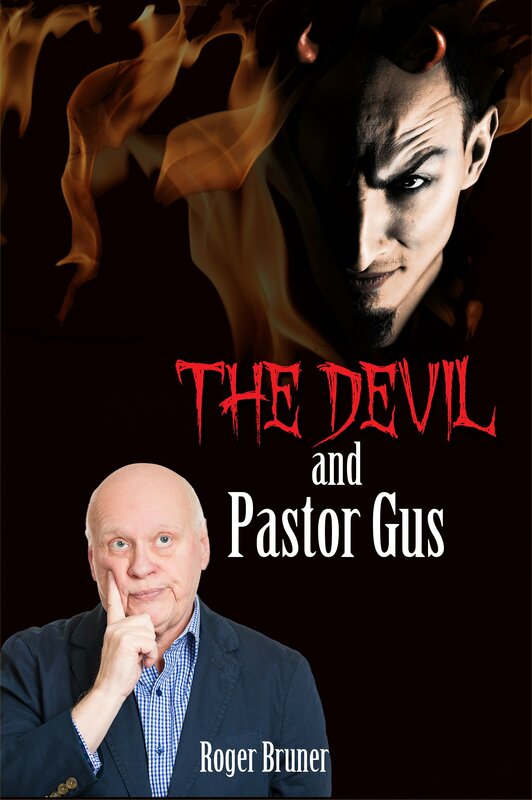 My new novel, The Devil and Pastor Gus, is out. If you’re interested, please check it out at Amazon.